Hi, thanks so much for visiting us! And of course, congratulations on your special occasion!! I’m Danielle, the founder of Your Day Ibiza. Originally from Poole in Dorset, I now live on the beautiful, diverse island of Ibiza, with my incredible boyfriend and our French Bulldog, Buffy (if you follow YDI on Instagram you’ll see plenty of her!). I created YDI for couples who want a more modern style ceremony, which suits and feels like them, mirroring their style and personalities and most importantly, reflecting their relationship and unique love story. As a born romantic, working as a Celebrant is a dream job for me and every day I am excited to start work. There’s nothing I love more than getting to know the couples I work with, listening to their stories, understanding what marriage means to them and hearing all the things they love about each other (and the things they don’t! Think: not emptying the dishwasher/buying FAR too many shoes!). It is so magical to have a career which inevitably makes me either laugh out loud or cry happy tears every single day. 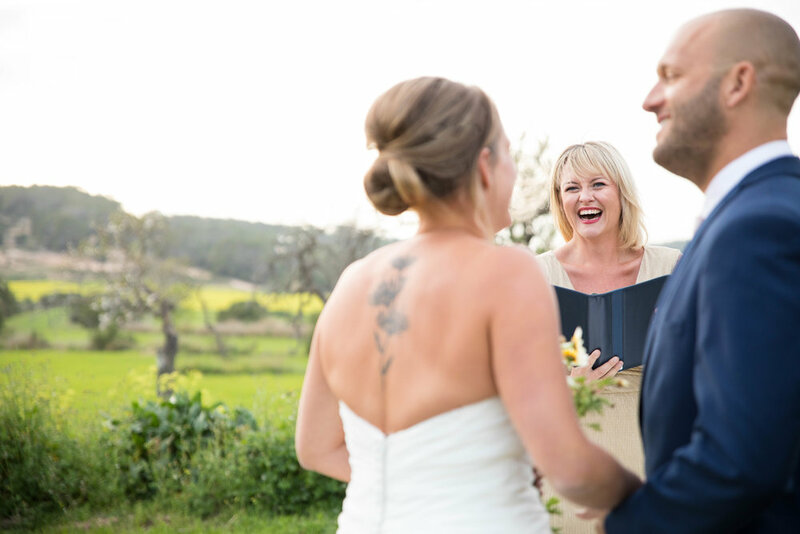 Creating a special ceremony for every couple is so important to me, so I spend a lot of time making sure that I stay educated, up to date and inspired with all things Celebrant and ceremony related. 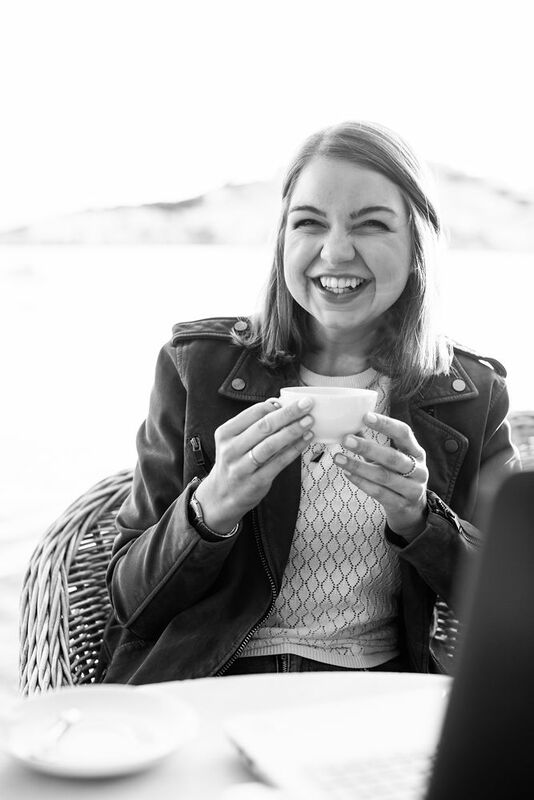 I was trained in 2017 by the UKSOC, a professional Celebrant training society, and I’m part of some amazing celebrant groups and communities where we discuss ideas and share inspirations and go on learning retreats together. Hi! My name's Carly and I am incredibly excited to be joining the team at Your Day Ibiza this year. I am a professional performer and writer and former Drama and Performing Arts teacher who has been living here on this beautiful island since 2011. My 5 year old and 7 month old daughters were born here after my husband and I came here on our boat on a bet and decided we never wanted to leave! I've written and performed wedding readings for friends and family for years and always thought about taking the plunge as a Celebrant, but it was our own 10 year anniversary vow renewal on board a catamaran here in 2017 that inspired me to go for it. I love everything about love and I cannot wait to meet you and hear your love stories as we prepare for your special day. There's nothing quite like the twinkle in the eyes of two people destined to be together forever. Hi there! My name’s Ben and I’m proud to say that I am part of the wonderful team here at Your Day Ibiza. First and foremost I am a big family man. My wife Claire and I were lucky enough to celebrate our marriage on this beautiful island of Ibiza in 2011, and together we now have 2 sons and a baby daughter. I love nothing more than spending quality time with them all and making them giggle. Having been the guy standing up at the front of the aisle, waiting for my beautiful wife to arrive, and now to be the one performing the ceremony, I know that the ceremony part of a wedding day is definitely a serious occasion for all of us! But, some lovely smiles, fun & perhaps a proud tear to an eye are what I always like to aim for. Let’s enjoy your big day and bring a bucket load of love & romance to remember forever.